How is your nonprofit optimizing Facebook Marketing? 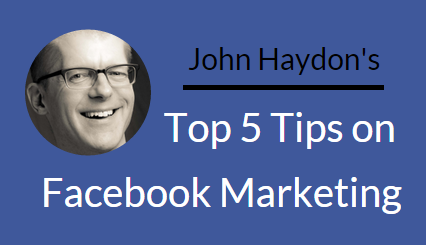 Over the years, John Haydon has helped hundreds of organizations achieve their best results using Facebook effectively. Register now for his Wild Apricot Expert Webinar, “Learn How Facebook Can Boost Member Engagement” where he covers best practices on engaging and growing membership for your nonprofit. You can learn more about how to optimize your Facebook Marketing efforts by reading his top 5 blog posts below. To find out how to best utilize each of these reports, click to read more. That’s right, Facebook updated their Newsfeed algorithm again. And this time, the update could hurt your Page reach and referral traffic. So, what has Facebook changed and how will it impact you? Filling quiet news feeds with more content. Facebook is “relaxing” the rule that wouldn’t distribute multiple posts in a row from the same source. Prioritizing important updates from close friends. Now, posts from friends you interact with most will rank higher in your News Feed. To read the rest of the list and discover solutions you can implement, click to read more. It seems that more and more Facebook users and organizations are publishing videos on Facebook. For users, videos are easy to publish from mobile. For organizations, a nonprofit Facebook video can get more engagement than YouTube videos or even Facebook photos (according to one study). But simply uploading a video file won’t guarantee viral Facebook videos. The content and the strategy behind videos are key. So what steps can you follow to help your video go viral? Understand your people. Utilize Facebook Insights and Graphs to understand what does and does not work. Create content that resonates. Create or curate content that makes your people look awesome to their friends. For the rest of the list, click to read more. If you’re like most nonprofit marketing professionals, you already have way too much on your plate. You just can’t spend hours preparing your Facebook presence. Facebook continues to adjust the News Feed to favor updates that engage people, reduce click-bait, and minimize tired memes. In other words, Facebook wants brands to write Facebook posts that feel more human. But how do you do that when you’re a marketer? Post links like a human being, not a marketer. Facebook groups, Facebook pages...what’s the difference? And how can you use these two channels more strategically to grow and engage your membership? 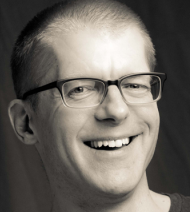 John Haydon - the author of Facebook Marketing for Dummies and Founder of Inbound Zombie - will reveal his best kept tips and tricks for building a thriving online community. John Haydon is one of the most sought-after digital marketing experts for nonprofits and charities. He is author of Facebook Marketing for Dummies and Founder of Inbound Zombie, a consultancy in Cambridge, MA, that helps non-profits increase awareness, amplify engagement and raise more money. He’s also a partner at SocialBrite, a consulting organization that helps any sector make their business more social. In addition, John is a regular contributor to the Huffington Post, NPEngage, Social Media Examiner, and the Razoo Foundation.